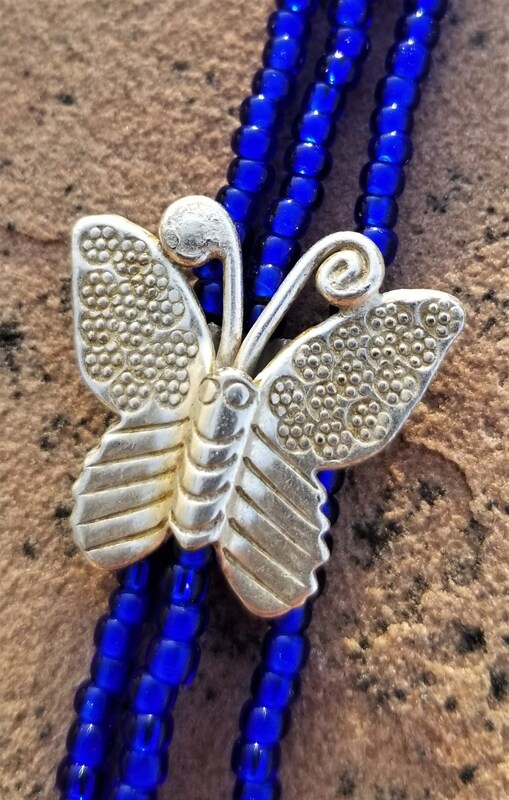 Luscious cobalt blue, what better way than to show off a darling silver butterfly on your wrist. Butterflies are always eye-catchers, but this one just takes the cake. 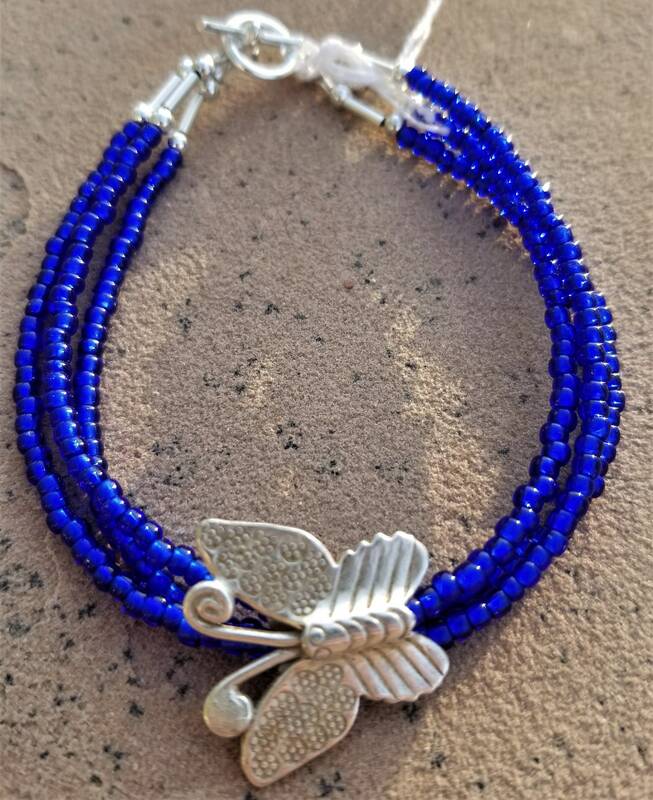 The bracelet is approximately 8-1/4".